Gaming chairs have been the subject of many debates over the years, with furious advocates on both sides of the spectrum (click here to see our take on the whole debate) but one thing is certain: we all need something to sit on. If you’re going to spend hours sitting behind your desk (whether it’s for work, gaming, or both) you’ll want to make sure that you’re sitting on something that’s comfortable and won’t mess up your back in the long run. In our new series of reviews we’ll be going over some gaming chairs. They come in many different varieties and almost every brand seems to be selling one of these racing style chairs nowadays, so we’ve been selecting a range of chairs which look like they might be the real deal, as opposed to just some quick money grabbing attempt. 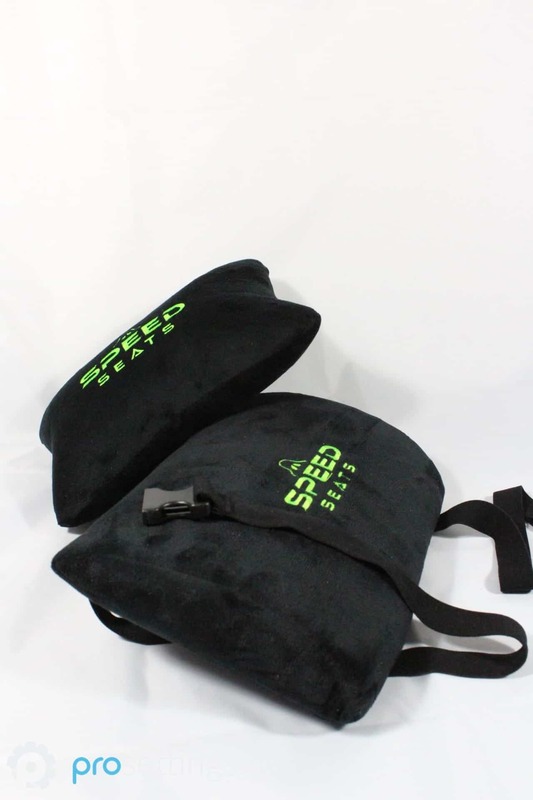 First up is the Speedseats Comfort. 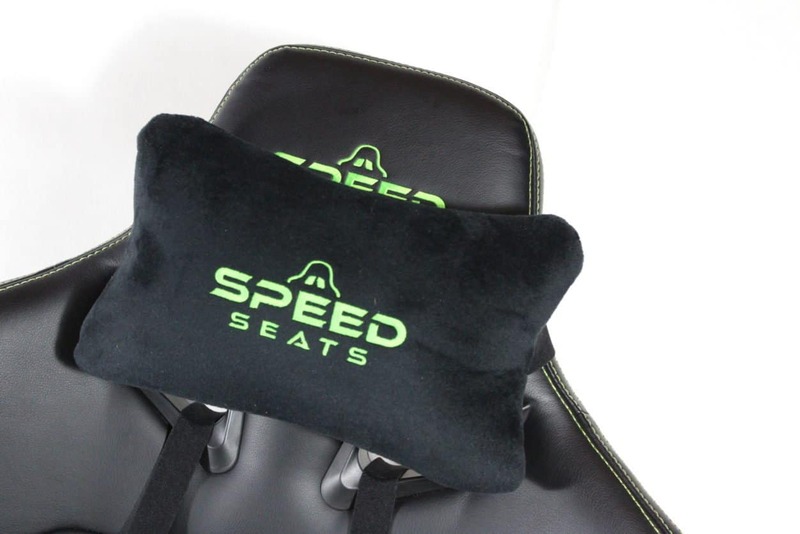 Speedseats is based in Europe and even though they’re a relative newcomer in the grand scheme of things they’ve been supplying many LAN parties and events with their chairs over the years. The Comfort model is the culmination of years of experience and feedback from gamers across the continent, or so they say over at Speedseats. Is this one worth your hard earned money? Read on to find out. 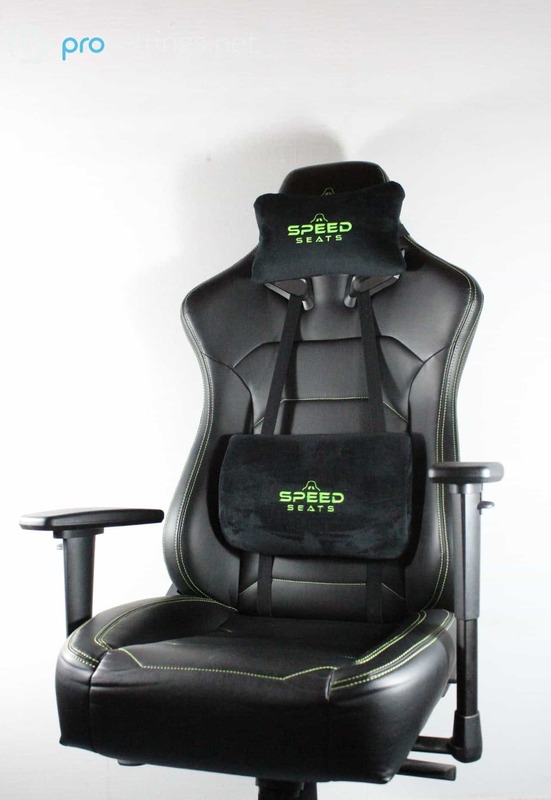 The Speedseats Comfort comes in a nondescript box which contains all of the necessary parts and tools to assemble said chair, as well as a pair of white gloves which are meant to protect your hands and fingers when you’re assembling the chair. I personally don’t really see how or where you’re going to damage your fingers during assembly but it is a nice touch regardless. The assembly went fine; I’ve put together a number of gaming/office chairs over the past couple of years and the whole process took about twenty minutes from start to finish, though I can’t imagine that it would take someone who’s never done this sort of stuff before much longer. The added assembly instructions are clear and precise, and putting together a chair isn’t exactly rocket science either way. I will say that (as is often the case when you’re putting together furniture) it is a lot easier to have someone there to help you out during this process, but I managed just fine on my own. The Speedseats Comfort does everything that you’d want a desk chair to do: it has a tilt function (and tilt lock), a reclining backrest, 4D adjustable armrests, a 5 point base, and of course it’s height adjustable. 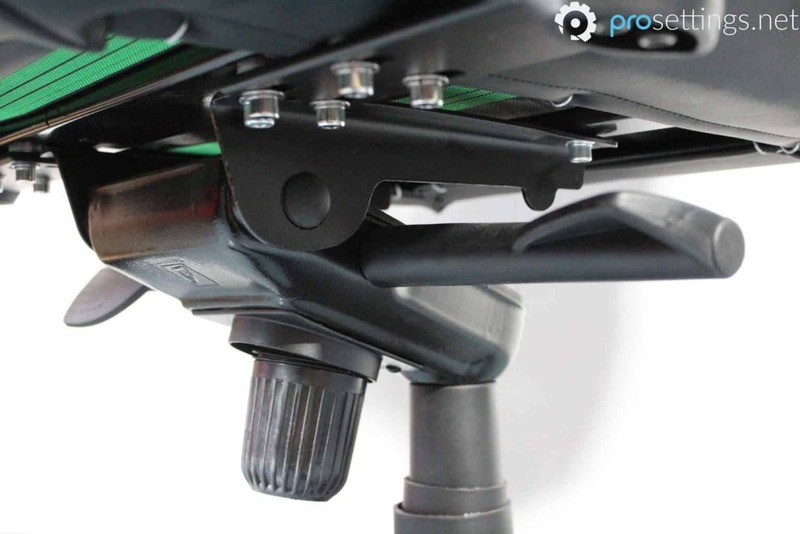 The base of the chairs feels really solid and reliable, supporting up to 140 kilograms. If you’re a larger person there’s also the Comfort XL, which is bigger in dimensions and can seat up to 160 kilograms. The chair also comes with a headrest and a lumbar support cushion, but more on those later. All regular Comfort models feature a black synthetic leather material as far as the upholstery goes, and you can choose the color of the stitching for a splash of personality if you so desire. The one you see in this review is the ‘green’ version, as you might have guessed. The base of the chair is made of aluminium and finished with a plastic material here and there, and the same goes for the casters and arm rests. Nothing fancy here, but everything feels solid and it doesn’t appear like anyone’s been skimping on anything. Allow me to preface this by stating the obvious: everybody (and thus: every body) is different and we all have our own preferences, so what works for me might not work for you and vice versa. It’s incredibly important that you get a chair that’s the right size for your body, otherwise you’re never going to be comfortable no matter how good the chair is. For reference: I am 183 cm (which is around 6 ft) and I’m moderately built. It’s a sort of cliche that everything related to gaming has to have extreme angles and ditto color schemes, but apart from the stitching (and the kind of telling racing style design cues) this doesn’t really look like something overly ‘gamer-ish’. 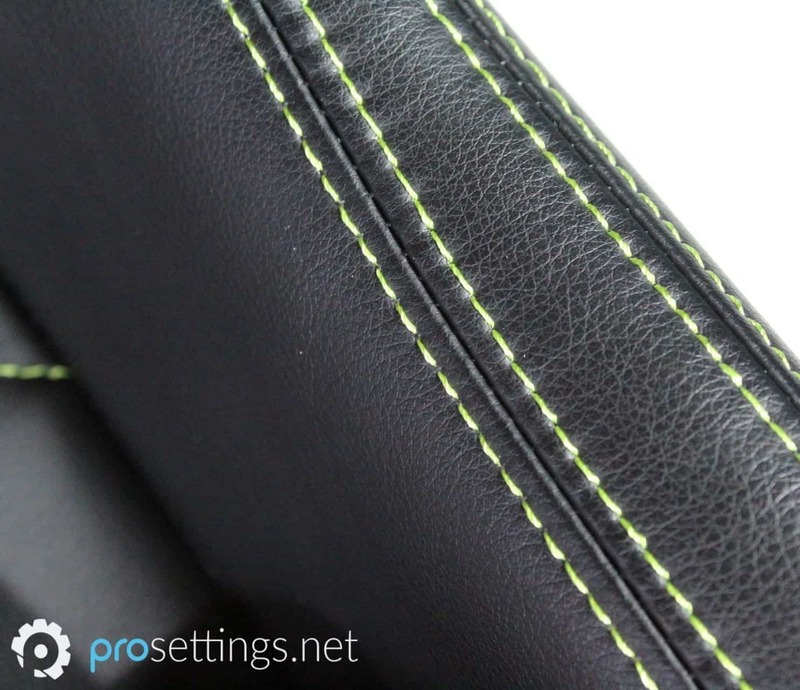 Get a version with black or silver stitching and you’ll have a nice, premium looking chair which won’t look out of place in a more formal setting. 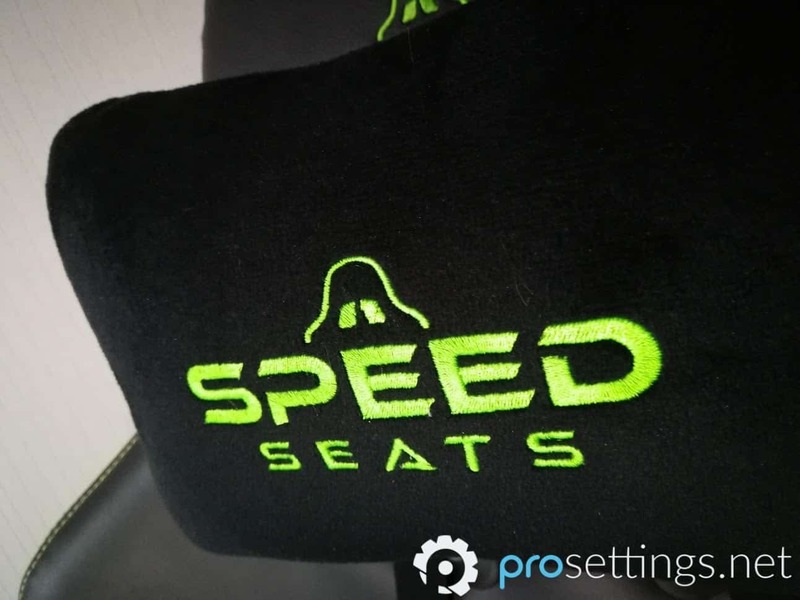 I happen to like the sort of neon green stitching on the chair that I have (which is partially due to the fact that no one ever comes into my office) but I appreciate the fact that Speedseats also offers more subdued color schemes. The synthetic leather on the chair is just that: synthetic leather. It’s nothing new or groundbreaking but it certainly looks and feels decent enough. It’s also sort of stretchy (more so than cheap synthetics) and pretty thick so I don’t think you’ll have any problems with durability here. So the chair looks and feels the part, but the most important thing is obviously what happens when you sit down on it. The first thing you notice is how comfortable it really is. It has an incredibly thick seat, filled with a soft, foamy material which feels great to sit on, even if you’re sitting still for hours at a time. A lot of desk chairs (especially those towards the cheaper end of the spectrum) tend to have a very hard, barely padded seating area which can get quite annoying and even cause pain after longer periods of sitting, but no such issues here. The seat really ‘welcomes’ your backside, and there are no pressure points or harder areas towards the front of the seat, which means you won’t get any pressure issues on your thighs whatsoever. I also like the fact that the sides of the Comfort aren’t angled in such a way that they force your body to sit right in the middle. 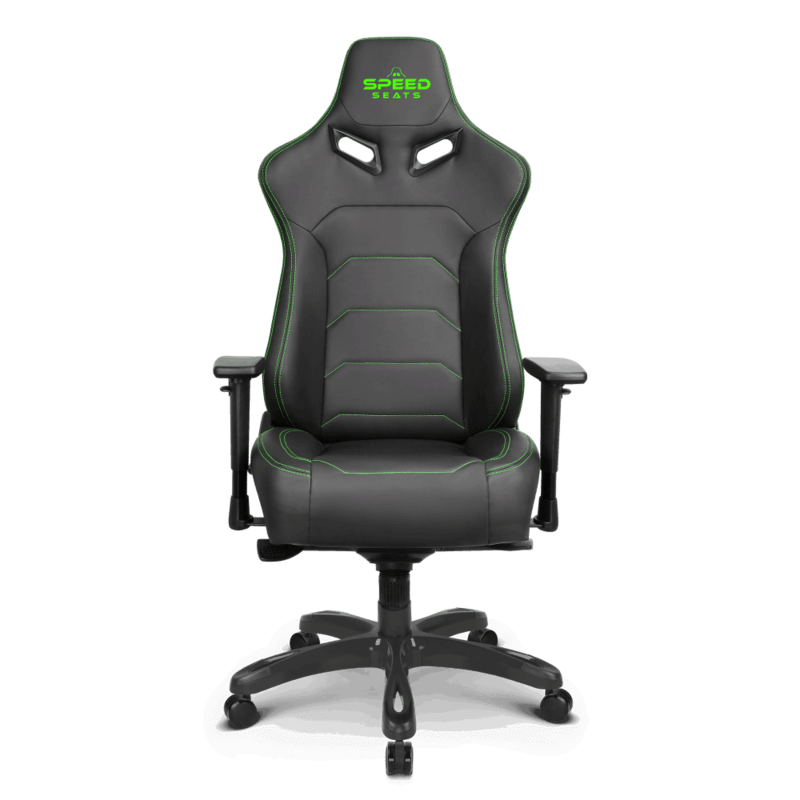 Real racing chairs have these side ‘wings’ which are almost perpendicular to the seat itself in order to prevent drivers from sliding out of their seat, but unless you’re gaming in the back of a rally car you really don’t need those. Yes, it’s best to always be in a perfect sitting position, but sometimes you just want to watch some Netflix whilst sitting in your chair like a sack of potatoes, and the Comfort really lives up to its name in that regard. The added velvet-finished pillows are a great addition as well. The neck rest is your standard fare (I don’t tend to use those) but the lumbar pillow actually feels great to use. This’ll come down to preference, but most lumbar pillows feel too round and protruding to me, while this one follows the curvature of my back in a more subtle, and thus more comfortable manner. 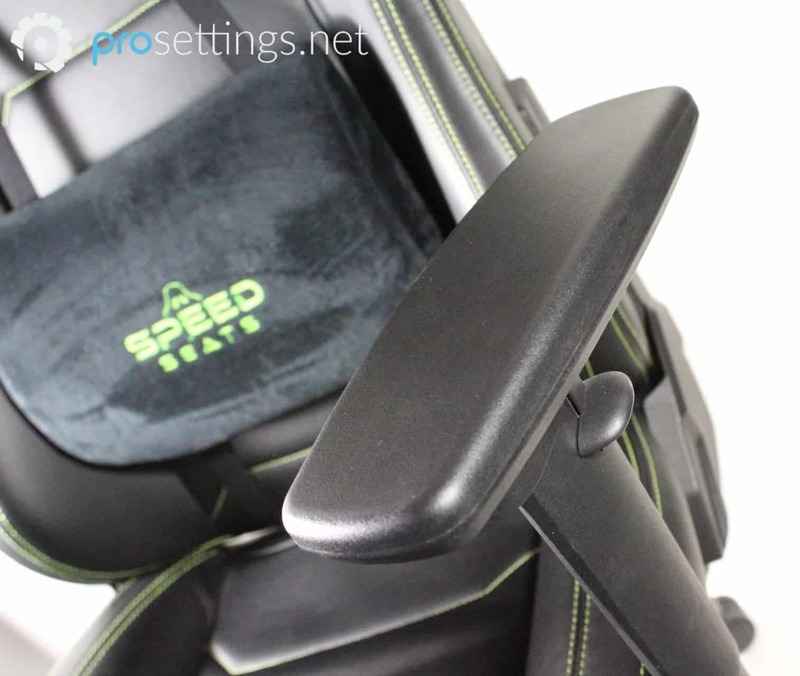 The Speedseats Comfort comes equipped with all the bells and whistles you might want from a desk chair, and for the most part they all do exactly what they should do, but the armrests could use some work in my opinion. They could have been softer, and they feel a bit loose and ‘flimsy.’ Not that I think that they’re gonna fail and pop out anytime soon, but there’s still a fair bit of wiggle room, even when they’re locked into position. Speaking of locking in: the armrests lock into place in all positions, except for when you’re moving them towards or away from you. This isn’t really a huge deal, but I did find myself ‘slipping’ when I tried to readjust myself in the chair which caused the armrest to shoot forward a couple of times. It’s merely a minor inconvenience, but it still is something that they can fix in future iterations. 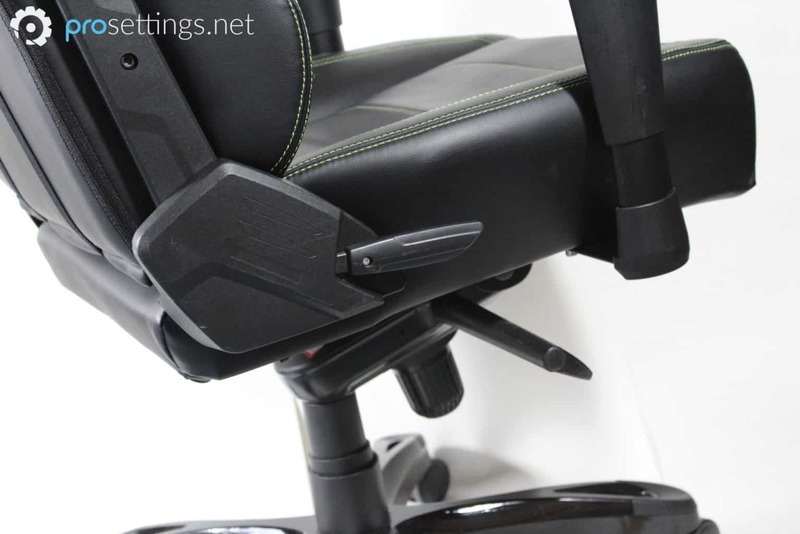 It doesn’t help that the armrests are also quite loud when you’re adjusting them in that particular position, so be wary of this if you’re gaming and someone is napping in the same room. Every other function on the chair works seamlessly though. The height of the chair remained consistent all throughout my testing period with it, and everything is nicely level. The chair pivots and rolls quite smoothly as well. The wheels on the Comfort won’t be winning any GP races but it’s not like I had to use an unreasonable amount of force in order to move the chair around either. The chair is nicely balanced and the base does excellent work as well: I was able to recline the backrest all the way down and I never felt like I was going to end up on the floor, even with the tilting mechanism set to a very forgiving resistance. Stitching, finishing, support, etc. all remained perfect as well. I obviously haven’t been testing this chair for years, but I have been sitting on it for multiple hours each day and so far there’s nothing I can point an accusing finger to when it comes to durability. You can hear an internal creak ever so slightly whenever I get into the Comfort or adjust my position, but that’s par for the course when it comes to heavily used office chairs as far as I’m concerned, and it’s not like it’s so loud that it gets noticeable. One point of concern for the future might be the straps on the added cushions; they feel a bit too loose and brittle in my opinion, causing the backrest to sag a centimeter or two overnight. With time those straps will become worn, causing them to sag even more, and there’s no adjustment buckle on the straps to make them shorter or anything like that. 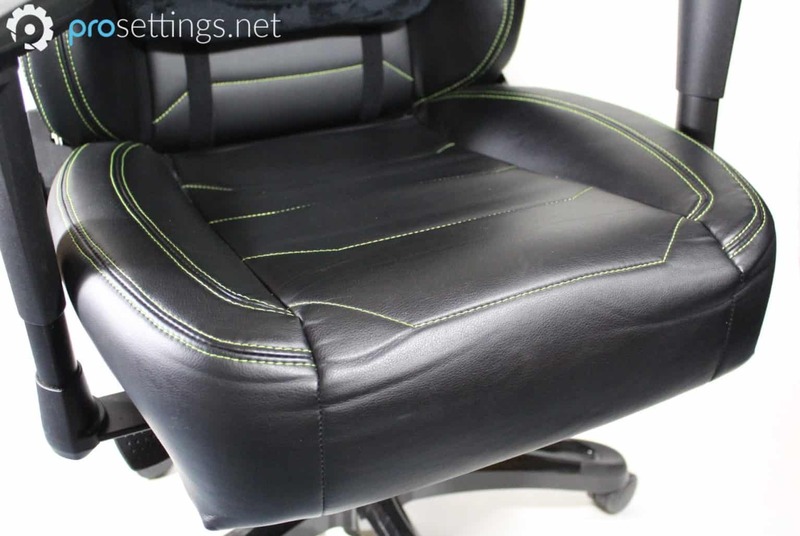 You can buy replacement cushions on Speedseats’ website for a reasonable price, but I still would’ve liked the straps to either be adjustable or be firmer. Preferably both. Both cushions do come with a zipper (that’s placed out of the way) so they’re washable, which is a major plus. Think of it what you want: if you’re behind a desk for multiple hours each day you’re going to need something nice to sit on. Speedseats knows that, and the Comfort is the culmination of everything they’ve learned about office chairs so far. Almost nothing is without its faults though: the armrests could use some work (why not have them lock in all directions, for example) and the straps on the included neck- and back pillows feel subpar to me. There’s also the fact that this is a very soft and cushy chair. Some people prefer their chairs to be a bit firmer when sitting in them, and if you’re one of those people you should probably stay away, but that’s totally subjective obviously. Aside from the aforementioned things the Comfort absolutely lives up to its name: it’s one of the more comfortable chairs I’ve had the pleasure of sitting in, and little details such as the nicely formed and curved lumbar pillow really do make the difference. The Speedseats Comfort is adjustable in every way you’d want it to be and with its sturdy and premium build quality you’ll be sitting super cozy for years to come. Definitely one to consider.